*UPDATE 9/30/04* Added a few icons. *UPDATE 6/20/04* Background now included. 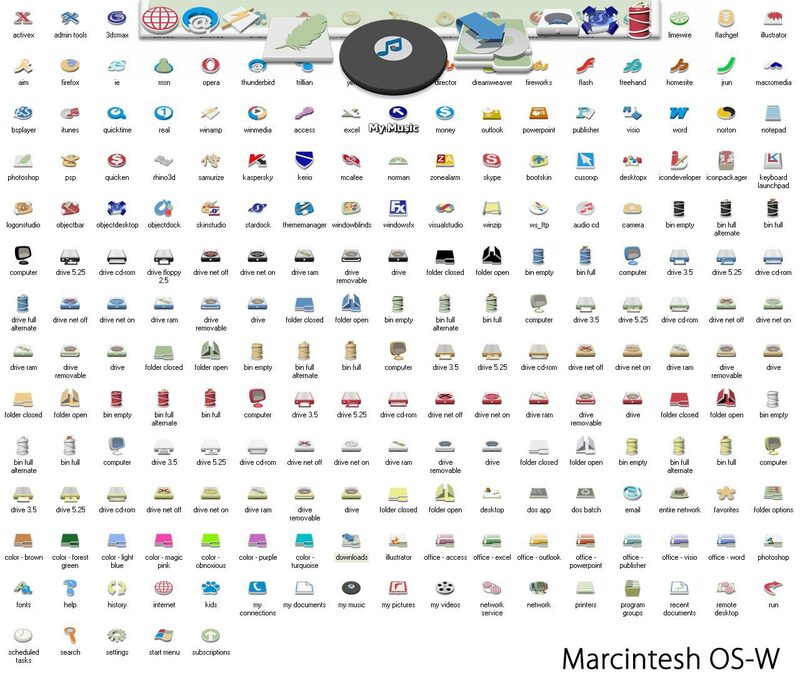 Here is a matching set of PNGs to go along with the icon package of the same name. Zip includes 226 PNGs. Most are 192x192 but the core icons (my computer, drives, etc) are 128 because I lost the master files in a recent system re-install. "Let's all pretend I meant it to be that way"
this is VERY impressive . . . thanks for packaging them for Objectdock! How do i change my excel icon to the one on this page? deelee, if you're referring to the icon in ObjectDock, you should be able to do that by right-clicking your icon and choosing "Dock Entry Properties". If you're referring to a normal icon, you'll have to download my icon package (linked in the description) and change your shortcut using the included Excel icon in the Applications folder. suslik, I use an Etch-a-sketch and an HP flatbed scanner. Then I import that to Photoshop and apply a series of lense flairs. It is very beautiful.I like it very much. I love these...really different. Thank you so much.